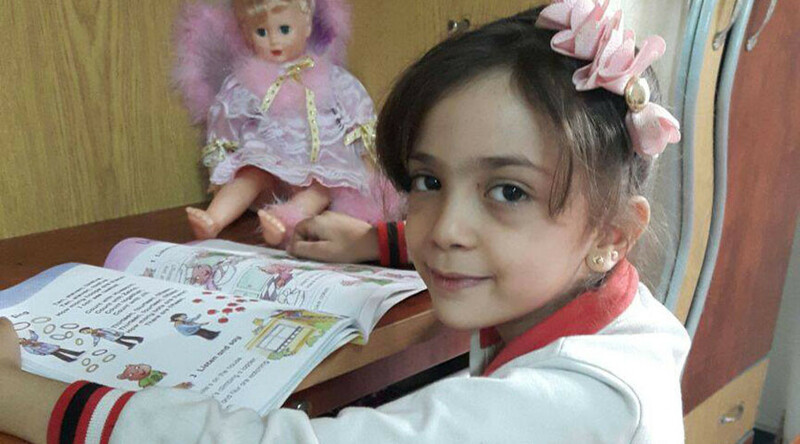 The Twitter account of seven-year-old Syrian girl Bana al-Abed, who became a symbol of the Syrian conflict, with some dubbing her the ‘Anne Frank of Syria,’ has fallen subject to suspicions over its authenticity. Bana’s account, which has been verified by Twitter, was set up three months ago, and has since gathered over 220,000 followers, along with global media coverage. The tweets, written by both Bana and her mother, Fatemah, depict life under siege in east Aleppo. When the girl’s Twitter account was deactivated on Sunday, her supporters were distraught, believing she had been killed. The hashtag, #WhereIsBana was used as people hoped for good news. However, the next day her account was re-activated and she tweeted that she was fine. While many people have only fondness and concern for the Aleppo girl, to others, the account presents a number of questionable elements that some say point to a propaganda effort, pointing to videos where Bana appears to be reading from a prompt. @Filmandwriting She is a child being abused by her terrorist parents. Take a close look at the account. Such doubts aren’t unusual when such accounts emerge. In 2011, Amina Abdallah Arraf al Omari, who became famous for her “gay girl in Damascus” blog was revealed to be a hoax created by Tom MacMaster, an American man living in Edinburgh. In January, an image reported as being a ‘before’ image of a starving Syrian child from the town of Madaya turned out to be an unrelated girl living in Lebanon. The White Helmets group have also been accused of being a propaganda tool. As a result, questions have been raised as to Bana’s ability to timely hashtags and tweet in an area that doesn’t always have electricity or internet. Within two days of setting up the account, she had used #HolocaustAleppo, #MassacreInAleppo, #StopAleppoMassacre and tweeted at Russian President Vladimir Putin, US President Barack Obama and Syrian President Bashar Assad. Dear @potus, @putin@assad can you please work hard to stop the killing of Aleppo people before we are finished off? Bana, Aleppo. The account says Bana’s mother, Fatemah, is a teacher and her father, Ghassan, works for the “legal department of the local council,” the Telegraph reports. For some, however, this isn’t enough, claiming Bana’s parents are jihadists who are using their daughter to further propaganda in their favor. Raslan, in turn, has been pictured with members of the Nour al-Din al-Zinki movement, who were recorded taunting a Palestinian child before they beheaded him. News verification company Storyful has also made efforts to verify the account. “The mother, who says her name is Fatemah, has sent Storyful photos of her daughter, not pictured on the Twitter account,” Global News quoted Storyful. “The photographs tally with the images shared on Twitter. Fatemah shared a photograph of her passport with Storyful, which corroborates her identity. The passport lists her birthplace as Aleppo,” Storyful said. This isn’t enough for some, however, with a seemingly increasing number of people that have questioned the account’s authenticity claiming that they have been blocked, particularly after raising questions over whether the account was registered in the UK, although screenshots of such metadata can be altered. @AlabedBana Dear banana , why is your twitter account registered in the UK and why are you banning ppl for asking this? As media reports about the ‘liberated’ rebel stronghold areas of Aleppo emerge, showing civilians fleeing and sharing accounts of rebels withholding supplies and shooting at civilians trying to leave through humanitarian corridors, Bana’s tweets appear to be at odds with these reports. @AlabedBana Why won't the rebels let you leave?